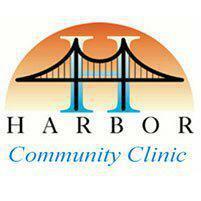 Harbor Community Clinic is a top-ranked provider of ob/gyn care for women of all ages, from adolescents through menopause, offering gynecologic and obstetrics care for patients from San Pedro, CA, and throughout the Los Angeles and South Bay areas. Why do I need prenatal exams? Prenatal exams are vitally important for ensuring you and your baby stay as healthy as possible all the way through pregnancy and delivery. During the exam, your weight and blood pressure will be measured and recorded and your belly will be measured. You'll usually provide a urine sample for testing and you may also have blood work ordered. At certain intervals during your pregnancy, you may have ultrasounds to monitor the growth and development of the baby and get a clearer idea of when you'll deliver. Plus, you'll receive plenty of guidance on how to stay healthy between appointments. How often do I need to have a Pap smear? You should have a Pap test every three years if you're between the ages of 21 and 65 years. Once you reach age 65, you can stop having Pap tests if you haven't had cervical cancer and if your recent Pap tests have had normal results. You also should have regular screenings for human papillomavirus (HPV), a very common family of viruses, some of which can increase your risk for cervical cancer or cause genital warts. What happens during a regular gynecological visit? Your visit will begin with a complete health history to look for risk factors for diseases and to provide a complete picture of your health. Your exam will include measurements of your weight and blood pressure, as well as a clinical breast exam and possibly a pelvic exam with or without a Pap test. During the pelvic exam, you'll be evaluated for signs of disease or other issues that could affect your health and wellness. You may receive birth control or STD information, family planning guidance, or information about how to manage menopause symptoms, depending on your age.